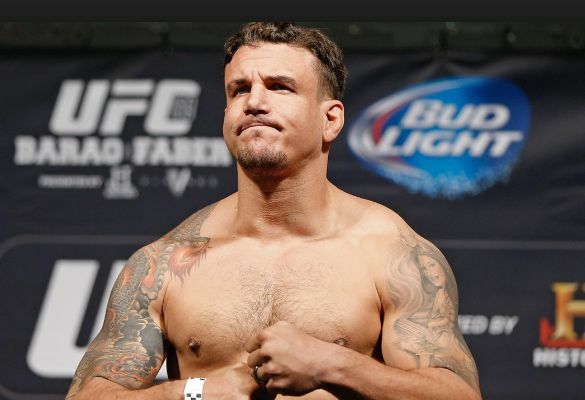 Frank Mir is a UFC fighter, who has gained much popularity in recent times for his on the field and off the field antics. 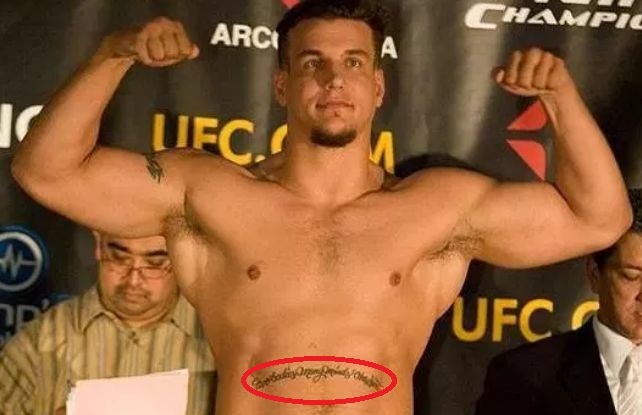 He is a beast when he steps into the octagon but when he steps out of that octagon, he is a tattoo freak. 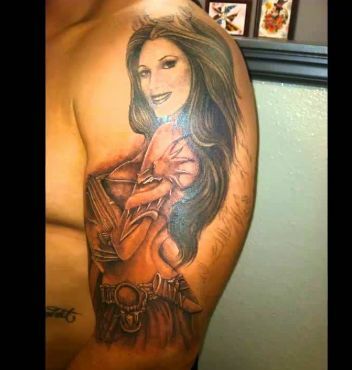 Let’s get into his collection of body inks. Early in his career, he had his name “MIR” inked on his right bicep but later on, he got it covered with a huge tattoo of what looks like a fiery serpent, covering his entire biceps area and carrying onto the shoulder. Mir has identical tattoos on his triceps on both sides. 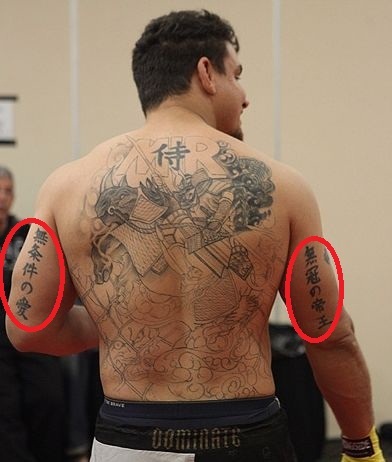 The tattoos mean “One with endless energy and stamina“. He later surrounded his tattoos with flames’ design. 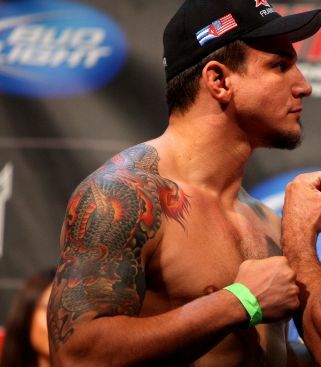 Frank Mir has “Two Bodies Many Minds One Spirit” inked on his upper abs. This was primarily the only tattoo he had along with his name on the right bicep. Mir has a huge tattoo of a lady on his left arm. We do not know its meaning as of now as Mir has not opened up on his personal life. 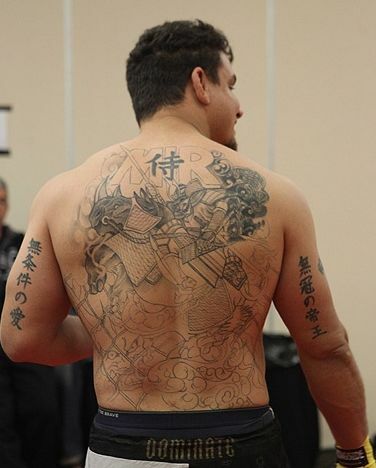 Finally, Mir got this huge tattoo on the back, which features his name on the top along with a Kanji symbol and what looks like a dueling samurai. The tattoo covers his entire back and is his favorite of all the inks he got.